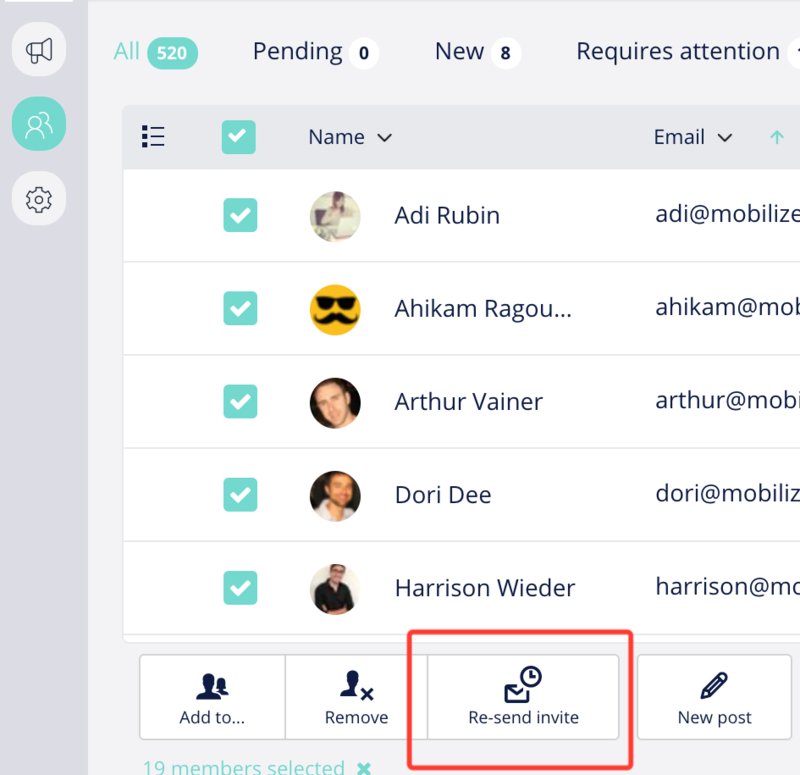 How to invite your members to register, after you have added them to Mobilize, and how the invite will look to your members. You may want to add your members silently first, maybe even start communicating with them, and send the invitation later. Or maybe you want to prompt your members to fill out their profile again. You can do that by inviting your existing members to register. 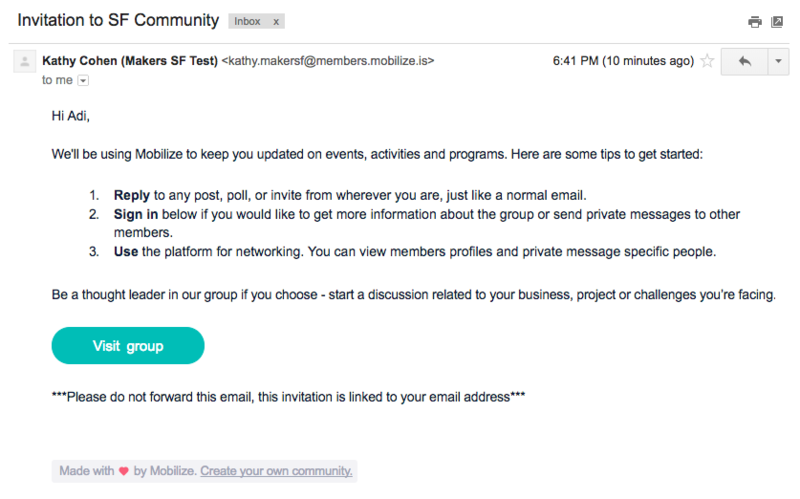 You can customize your message before inviting your members in the Membership Emails section in your Group Settings area. If you've already added your members and you want to invite them after you've set up your group, go to your Member Database and select all or specific members you want to invite. On the bottom left, click the Re-send Invite button to review your invitation text first, before you send it.